I usually share my trips in details about the places I and/or my husband visit mostly when we sign up for tours. But since this trip is a series of tours, I thought of just sharing the entire trip in a brief but concise manner. We had 6 tour itinerary for this trip which means 6 places of visits. This tour was also offered by the Rill's Bus Company in celebration of the "2013 Made in America Tours Event" in York County, PA, - which is considered the "Factory Tour Capital" of the world. The Harley Davidson Motor Company in York, PA. - for those who are certified Harley Davidson motorcycle lovers (and even members), I'm sure you would love this. The only thing I am not sure at this time is; - if Rill's Bus Tour will still offer this tour again in the near future. And if they do, you shouldn't miss it :). 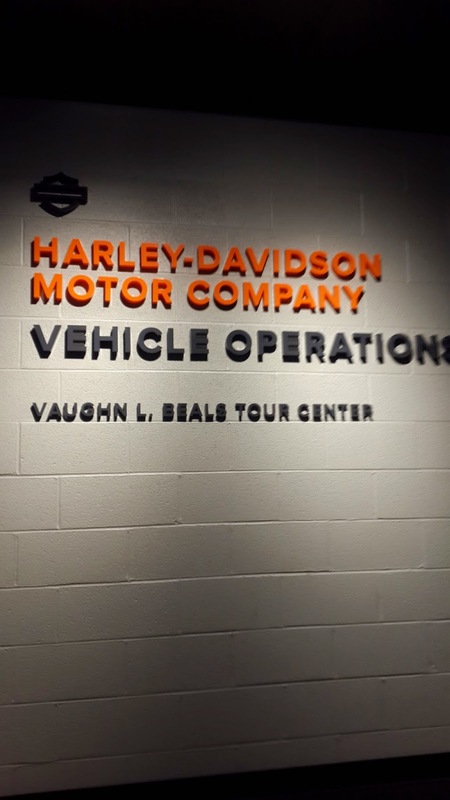 As you enter the facility, you will be fronting the customer service desk on a lobby, and on your right side would be the Vaughn L. Beals Tour Center where motorbike exhibits of various models and styles are being displayed. 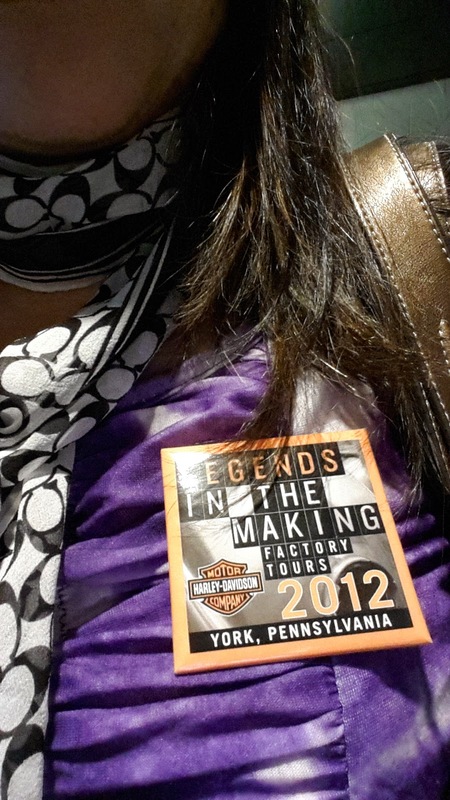 You can have your chance to sit on those bikes as well for photo ops ;); In there, you can explore more exhibits that detail the plant's history on through the manufacturing and assembly processes. This is also a good time to spend your time while waiting for the factory tour, as the tours are done by batch. 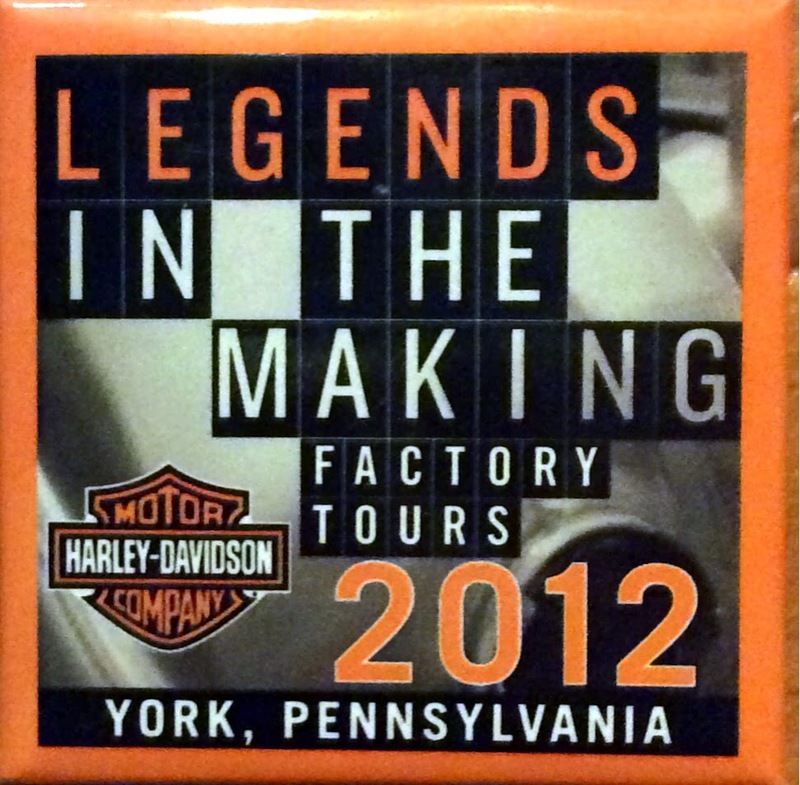 Tours inside the factory are free and are scheduled at regular intervals from 9AM-2PM Mondays to Fridays. It is a first-come-fist-served basis so going in early is highly recommended. Before the tour, our group was taken in to sit inside a mini theater and watched a short movie clip, - an introductory video about the humble beginnings of the company, the history and the most recent updates of the company nowadays. Then, we walked to the next room where we were given safety glasses and an audio before we were allowed to proceed inside the factory floor. A closed-toe, low-heeled shoes are also recommended. Note: We were requested to leave our cameras since they are not permitted in the factory floor. It was noisy inside, the reason why they gave us an audio. Its purpose was to hear the tour guide while touring inside. We had a noise-cancelling headphones attached to our audio, so that when the guide talks, we could hear him loud and clear. It was an interesting tour! Bube's Brewery - (pronounced as Boo-bees) is a 19th century brewery complex located in Mt. Joy, PA. It is still in its original condition with a modern brewery onsite. Tours include information about beer-making done 100 years ago and to this modern day. Visitors will also get the chance to visit way down the underground lagering cellars called - the catacombs! Bube's Brewery is the only intact Pre-Prohibition brewery complex left in the United States. George's Woodcrafts (Marietta, PA) - is a furniture factory ad a store that has been known for their high quality solid wood furniture for 4 decades now. Visitors can tour the wood shop and witness how furniture are being made from scratch, manually. Here, you can as well experience seeing the strength and beauty of artisan furniture made from the finest hardwoods. Sunrise Soap Company (York, PA) - this soap company is worth visiting. It has been becoming famous as a tourist spot for many visitors as they make everything on-site on their visitor-friendly kitchen, such as soaps, lotions, body scrubs, lip balms, bath fizzies, etc..which are made of harsh-free chemicals. You can smell various fragrances inside too! It's a fun tour to experience as you watch a demonstration on how soap is being made, learn more about the high quality oils being used, making it a skin-healthy alternative for sensitive skin. There are a lot of various products already displayed in the store which are available for purchase. New Grounds Coffee Roasting Company (York, PA) - fun tour for coffee lovers!! Visitors can watch a demo on how amazing fresh coffee beans are being roasted, then get the chance to enjoy sampling fresh coffee blends in various flavors. Brown's Farm Market (Loganville, PA) - this is a nice place to visit for fresh produce, as well as a great place to grab a bite/snacks in the cafe. They have various choices of baked goods, deli, pantry items, gift baskets and more.